Home » Who will rule in London: a Muslim or a Jew? On May 5th, the United Kingdom will hold elections to the Scottish Parliament, the National Assembly for Wales, Northern Ireland Assembly, and the local authorities in England. Besides the elections to the Metropolitan Assembly, the Mayor of London will be elected. The most likely contender for the position is the candidate of the Labour Party - Muslim Sadiq Khan. In Scotland, according to pre-election polls, the Scottish National Party - a supporter of independence - is leading, with 49% of respondents ready to vote for them (in the current parliament they have 44%, UKIP also has members in Parliament). In Wales, the Labour party, which has been in power for 17 years, will be seriously contested. Polls show the growing popularity of the Welsh nationalists Plaid Cymru. They are ready to receive more votes than the conservatives - 21%. For the first time, the Eurosceptic UKIP will enter the Welsh Assembly, with 15% of the Welsh being ready to vote for them. In Northern Ireland, the traditional balance between unionists (Democratic Unionist Party) and Irish nationalists (Sinn Fein) will dominate in the Assembly. In England, UKIP will strengthen its position due to distrust for both the Tories and Labour. England today is the most Eurosceptic part of the UK. The migration crisis and prospects of an exit from the EU contribute to the growth of support for the nationalists: Celtic and the British nationalists offer sometimes opposite but drastic measures on EU membership. 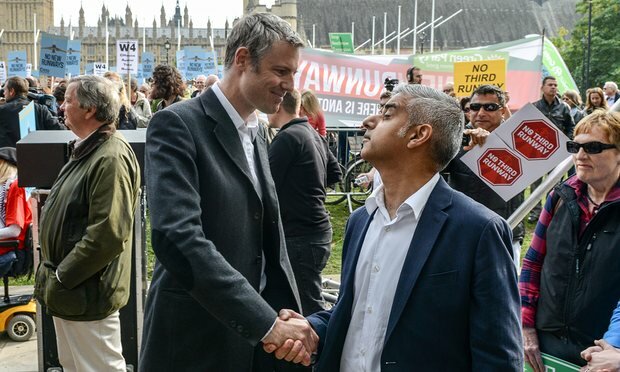 But in London, the main battle will be between Laborite-Muslim Sadik-Khan and Jew-conservator Zac Goldsmith, who is from the banking family. The 45-year-old native of Pakistan leading in the polls is not surprising given the growth of the Muslim population of the British capital. London, on May 5th, will most likely choose the first Muslim mayor. The very nature of the selection is indicative of Londoners, as such a choice will soon become vital for the entire West: either the power of bankers, or a caliphate. England dug her own grave by standing in the forefront of the Enlightenment and giving rise to the ideology of liberalism, which caused decay of traditional religious values and thus the decadence of Western civilization as whole.